Facelift — The Moore Center For Plastic Surgery, P.C. Facelift: A facelift can achieve a less tired or aged look, often by reestablishing the jaw line, reducing the nose to mouth folds, and tightening up the jowls. This surgery can often be combined with a neck lift, eyelid lift and/or a brow lift for a full face revitalization. As we age it is not uncommon for the face reflected back to us in the mirror to not represent how we feel about ourselves. That image in the mirror may appear old, tired, sad, mad, or unhappy and the list goes on. As we age several things happen to our facial tissues. We lose elasticity in the skin which causes it to relax and droop. We also lose volume as our facial fat decreases. 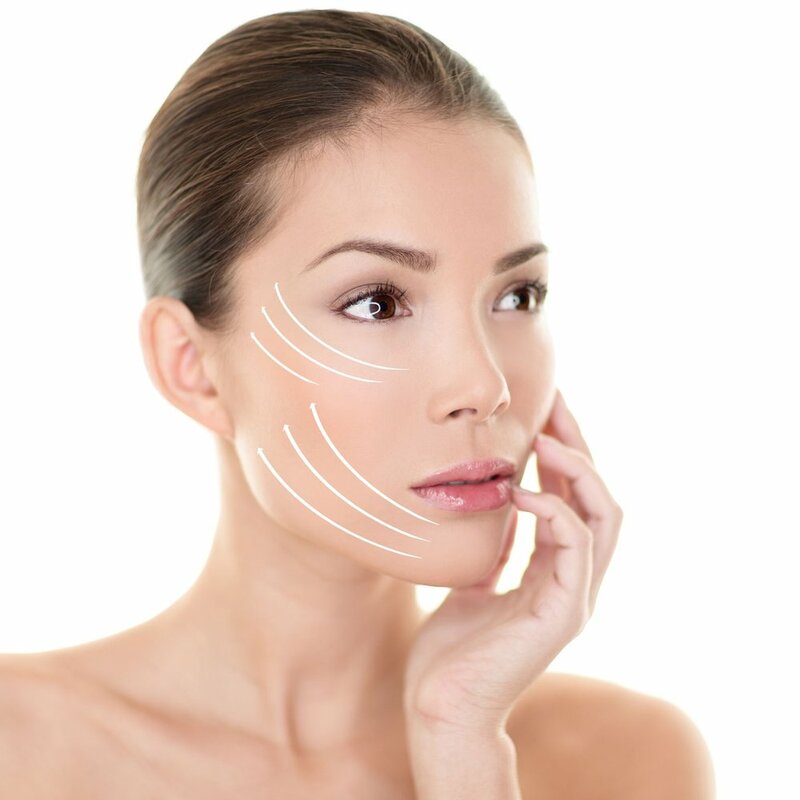 Surgical treatment of the face used to involve skin and tissue tightening only. Now volume replacement either with fillers like Juvederm or Restylane or with fat is added to the procedure. This newer version of the facelift results in a smoothing of the skin, reestablishing contours, better definition of the jawline and tightening of the neck. The results are permanent but the face will continue to age and relaxation is inevitable. With the facelift the aging process will proceed from a much more youthful and refreshed look. During your consultation a thorough discussion of your desires and expectations is carried out. Following that an examination of your facial anatomy is performed. This includes the quality of the skin, the underlying fat and the state of the support structures. Your medical history, including medications, is reviewed. A comprehensive plan is then crafted specifically for you. This plan includes the specifics of the surgery, the costs, location, recovery, etc.